I don’t think this post needs many words as the title says it all for me. Just like Baby, I too could carry a watermelon. The only difference being that this would actually be a lot lighter. I’m not sure my weedy arms could cope with an actual melon. 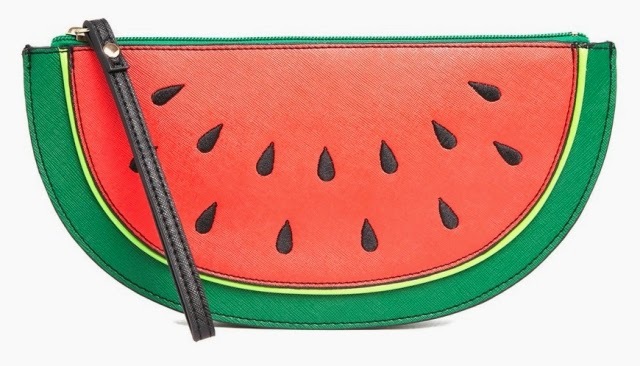 What’s even better is that you can pick this juicy New Look Watermelon Clutch up from ASOS for under a tenner. Just when you thought Wednesday’s couldn’t get any better, bam, I hit you with that. As much as I want this for myself, I feel like I can’t write a post quoting Dirty Dancing and not give my bestie, the Scarlett lady, a little shout out. This one is definitely one for you. Who knew I could be so selfless. They also have a cute Orange Fruit Clutch and Lemon Fruit Clutch for all the citrus lovers. That’s gotta be my good deeds for the day done.